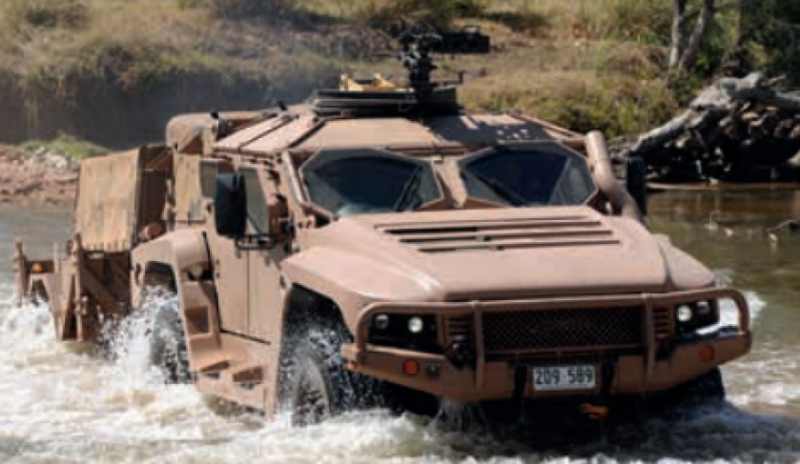 Capabilities and services such as Thales Australia’s Bushmaster and Hawkei vehicles will get the chance to be showcased on an international stage during Indo-Pacific Endeavour (IPE) 2019. It marks the first time an industry activity will take place as part of the port visit program. IPE is a major regional engagement activity for the Australian Defence Force, with Minister for Defence Industry Linda Reynolds saying the activities deliver "the promise of the 2016 Defence White Paper to strengthen Australia’s engagement and partnerships with regional security forces". Minister Reynolds confirmed IPE would include industry displays on board HMAS Canberra during visits to Sri Lanka, India, Malaysia, Thailand, Vietnam, Singapore and Indonesia. “The exhibitions that will occur during port visits throughout the region will provide a unique opportunity for Australian defence industry to promote their capabilities and services to the region. Reynolds added that "the capabilities on show will showcase a broad range of areas, including humanitarian assistance and disaster relief". The Australian Defence Export Office has arranged the capabilities and services put on display, including the Bushmaster and Hawkei, as well as Aspen Medical's support services. You can find out more information on the Australian Defence Export Office, here.